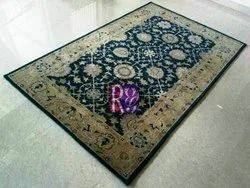 We are offering Hand Tufted Carpet. Using the best raw material [wool and cotton] and contemporary processes, Century Plaza's strong work force has infused a virtual renaissance into a century's old art. The vast array of designs like Keshan, Tabriz, Qum, Hamadan, Isfahan, and many others, the texture of pure wool/ cotton and the traditional handicraft together create the exclusivity of Century Plaza. We are enlisted amongst the top names in the industry engaged in offering a quality approved range of Tufted Carpet. These are available in various designs and sizes as per the requirements of our clients. Offered carpets are made using fine quality material and advanced technology under the guidance of our experts. 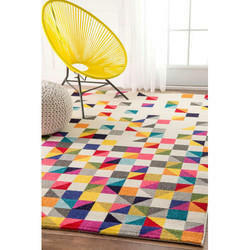 made of wool, hand tufted woolen carpets are available in a wide variety of color combinations and patterns. The carpets are lightweight and extremely durable. Reasonably priced these carpets are available in different sizes thus satisfying varied needs. Part of our Elegant Collection, the EL 002 Rug combines top-quality materials with a fresh, bold design. Hand tufted for extremely dense, sumptuous pile, this area rug will feel amazing underfoot and stand up to the highest traffic areas of your home. Its colorful, artistic pattern and cottage decor.